Jenni..would you like to visit to one of Oregon's leading plant nurseries? Yes...sign me up! 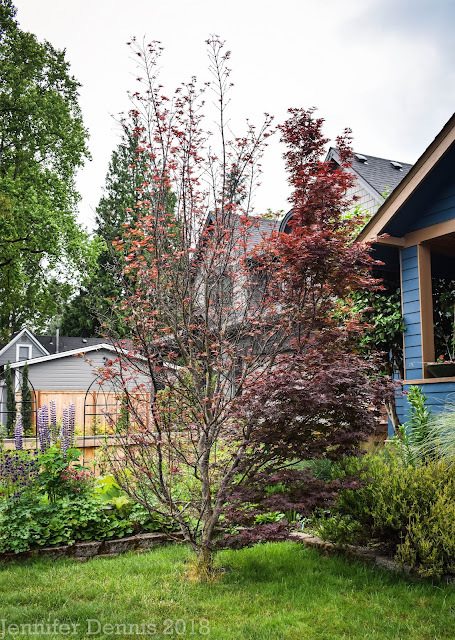 A group of local garden bloggers got together to visit Little Prince of Oregon Nursery, located just south of the Portland metro area. We couldn't have asked for a more beautiful day as it neared 70 degrees in early March. Despite my efforts to be prepared, I managed to leave the media card for my nice camera at home. sigh. At least I had my phone, thus, this post is courtesy of iPhone pics. Little Prince is famous for it's cute logo featuring a frog with a crown and the motto 'Our Plants Won't Croak'. They currently operate with over 160,000 sq ft of greenhouse space. After some lovely snacks, the garden bloggers rolled up their sleeves and headed out to check out the greenhouses. First stop brought a lot of happy ooo's and ahhh's when we entered the land of Tillandsia's. The story of Little Prince of Oregon Nursery is one of a great little start up business growing into a successful enterprise. Digger magazine recently featured Little Prince in an article here. Future plans include expansion of their line of hardy fuchsia's and the greater introduction of cool, biodegradable pots, made from rice in soothing earth tone colors. These pots can currently be found at local New Season & Fred Meyer stores. New biodegradable pots from Little Prince of Oregon Nursery. Common life span is 4 years. And this post would not be complete without some happy plant purchase shots of my fellow garden bloggers. The lovely Danger Garden with trays full of spiky plants..
P.S. Huge shout out to Tamara @ Chickadee Gardens for organizing this event...well done!! I'm sorry now that I missed it. I hope it happens again! That Delosperma is gorgeous! Hey, I think I see an Epimedium in Loree's tray! That might be a first. Yes..she did get a pretty epimedium! I sure hope you can come down next time we are so lucky to tour LPO! You booger! I knew you'd publish a pic of me..but I got you back..a cute, pondering, plant pose with your ever fabulous self! Loved sharing this perfect day with you, Jenni. I wish we could have all hung out longer! Next time we should build a 'decompress' drink in our schedule! Sorry I couldn't make it - what'd you buy me? We missed you! You would have loved it! It's fascinating to see the individual takes on our lovely tour, not to mention each person's plant picks. It was kind of like a mini Garden Bloggers Fling event. It was great to hang out together - and we MUST do it again!! I have really enjoyed reading other's blog posts about our fun day! Like you said, fascinating to see our different perspectives and points of view. We definitely MUST do it again! I'm still an agave virgin. :( So bummed I couldn't make the outing. Next time! Hope you can come next time! I'm loving all these posts about this excursion and am sorry I couldn't make it! So, I see the tillandsias all lined up on shelves and am wondering if they actually propagate them there at LPO or are they more of a distributor? LPO is purchasing from Costa Rica and distributing. Sounds like their business in tillandsias is booming and they are looking to expand. P.S. congratulations on buying your first agaves! May you be happy together for years to come! That looks like my kind of place, Jennifer. I bet you all had a fun time. We had such a fun afternoon! I love how your phone photos turned out, especially the sea of succulents shot. Congratulations on your new agaves!